50 & 53 - Frogs, flies and hail & Goodbye! Print sufficient templates for one per child. 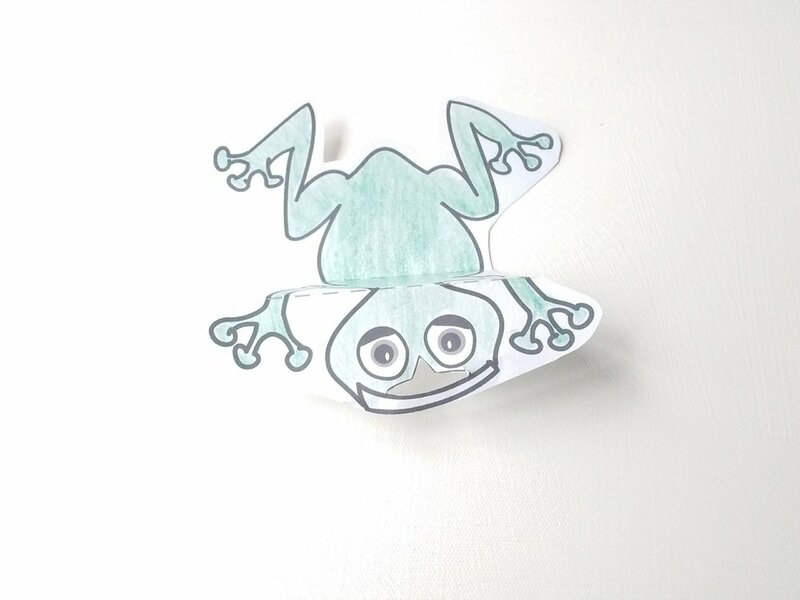 You may want to cut out the frog templates in advance for the younger children in your group. 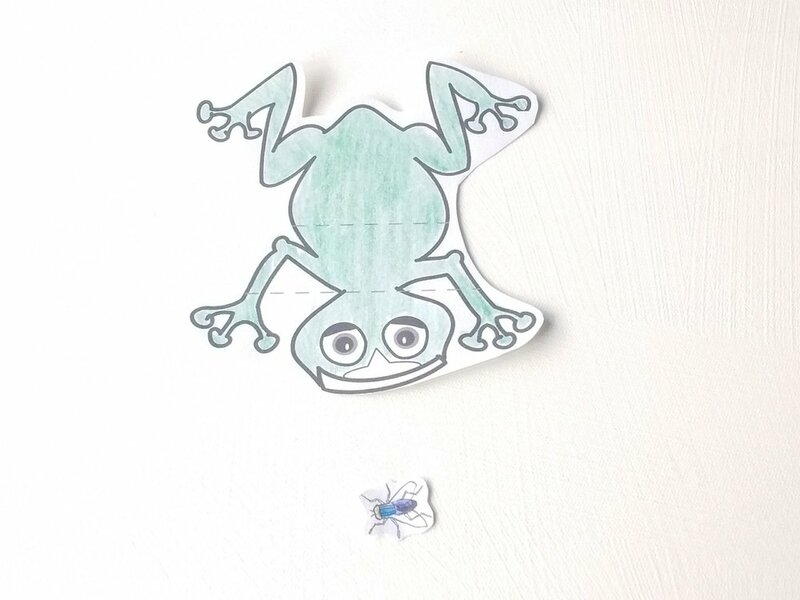 Make an example frog so the children know what they are about to make. 1. Colour in and cut out the templates. 2. 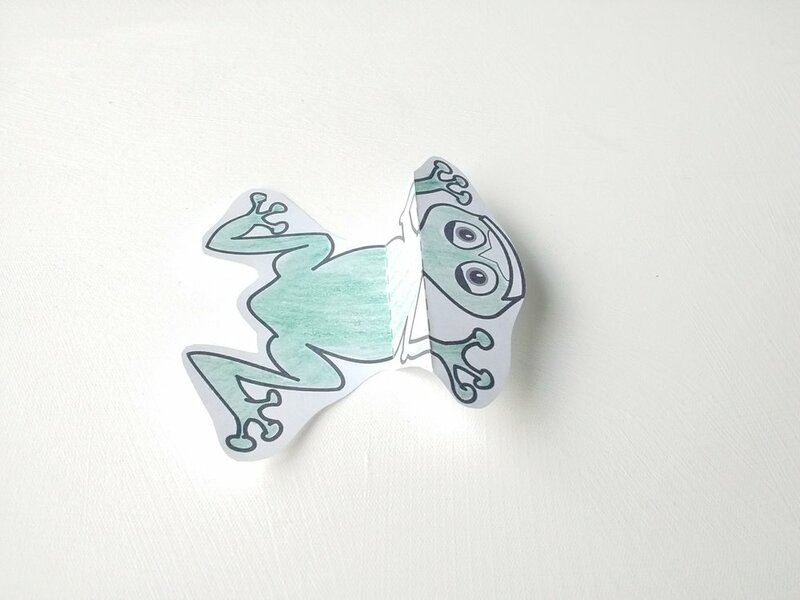 Fold the frog along the dashed lines as shown in the picture. 3. Carefully cut out the mouth shape as indicated. 4. Unravel the party blower and feed the foil part through the frog's mouth. Stick a fly on the end. You may need to use sticky tape to secure the fly in place. 5. 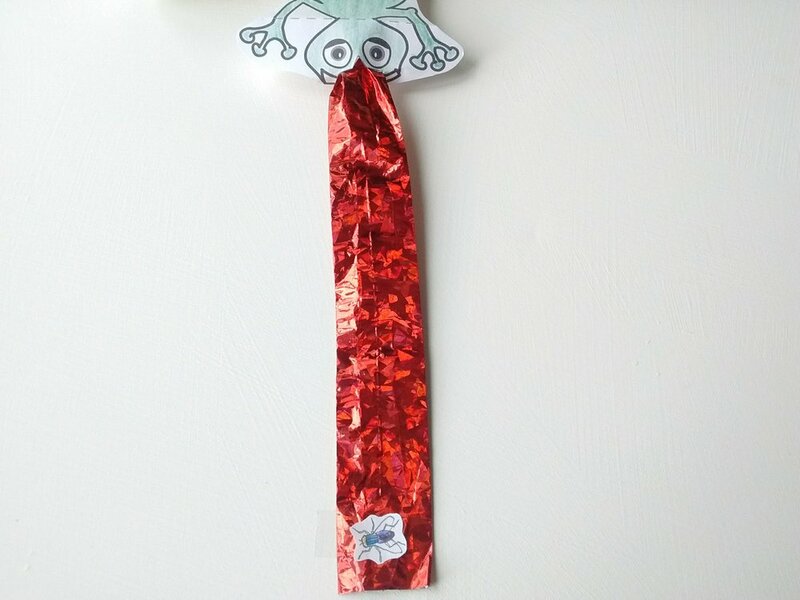 Blow through the party blower to make the frog's tongue unravel.